Camera mod that allows you to look up and down, change field of view, and more. 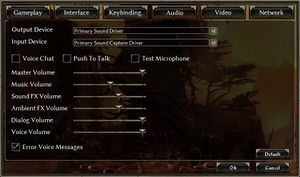 Does not work with Grim Dawn version 1.1.0.0 and later. "Enable Cloud Saving" setting in the General options tab. MSAA 2x, 4x, 8x. Alpha to Coverage. Enable in video settings. Protanopia, Deuteranopia, Tritanopia. Copy GrimCam.dll, GrimCam.exe, and GrimCam.ini to the installation folder. Change EnableFog = 1 to EnableFog = 0. Double-click on GrimCam.exe to launch the game with the mod enabled. 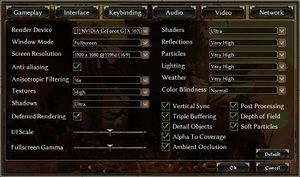 Use Helix Mod: Grim Dawn to toggle. Supports XInput controllers and the Steam Controller. Doesn't work in certain menus. XInput controllers emulates mouse movement when on menus or when user clicks the Right Stick button. Not all buttons are remappable. Master, music, ambient, voices and SFX. 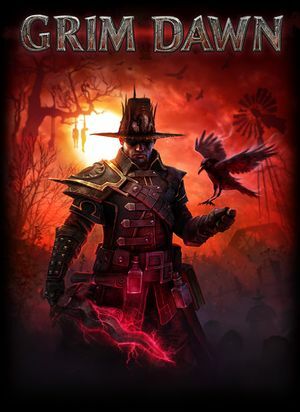 See Helix Mod: Grim Dawn. Might hang PC when quitting from in-game. To avoid the issue, exit to main menu and quit the game from there. 9, 11 Direct3D 9 can be forced with /d3d9 launch option. ↑ 1.0 1.1 File/folder structure within this directory reflects the path(s) listed for Windows and/or Steam game data (use Wine regedit to access Windows registry paths). Games with Steam Cloud support may store data in ~/.steam/steam/userdata/<user-id>/219990/ in addition to or instead of this directory. The app ID (219990) may differ in some cases. Treat backslashes as forward slashes. See the glossary page for details.